Thomas D. Pappas, 73, went home to be with the Lord on August 14, 2018. He was the loving husband of his high school sweetheart, Sharyn Smith Pappas for 53 years and the dear father of their five children, Timothy Pappas (Trish Sheets), Robert Joseph “Joe” Pappas, Kelly Meade (Christopher), Thomas “Tucker” Pappas (Christina) and David Paul Pappas, beloved grandfather to Jordan, Jaelyn and Hunter Meade, Trent and Tyler Pappas and Kylee Pappas. After graduating from St. Mary’s High School, Tom joined the Marine Corps Reserve training at Paris Island and Camp Lejeune. 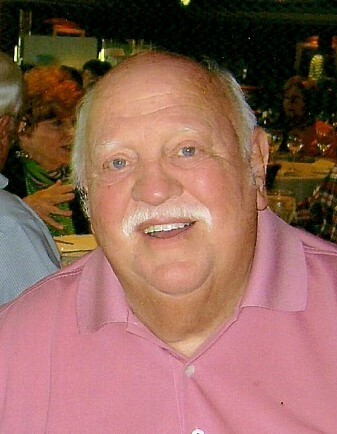 Returning from training in the Marines, Tom began working at the Goodyear Tire and Rubber Company where he served as Local 2 Union Representative and Division Chairman, retiring from Goodyear in 2003 after 39 years of service. Tom enjoyed playing golf in several leagues and a special golfing week in Santee South Carolina each spring. He enjoyed monthly card games with his buddies and watching his children and grandchildren playing sports. Tom was an OHSAA Football official and received recognition as a high school championship official. Tom was preceded in death by his parents Daniel and Mary (nee Eiden) Pappas , siblings, Christine Saxon, Clara Pappas, MaryAnn Duhon, Frances Luart, Helen Pappas and Margaret Costaris and Robert Pappas. He is survived by loving wife, Sharyn, loving children and brothers, James “Sonny” and Anthony “Tony” Pappas. Our family, nieces and nephews and friends will always remember the wonderful holiday celebrations with Tom teaching and dealing his many card games. His black jack being one of the favorites. Young and old joining in the screaming and laughing will always be a treasured memory. A Funeral Mass will be held Monday, August 20 at 11a.m. at Nativity of The Lord Jesus Catholic Church, 2425 Myersville Rd. Family and friends will be received Sunday from 3 p.m. to 8 p.m. at House of Eberhardt Funeral Home, 472 W. Turkeyfoot Lake Rd. (Rt. 619) Portage Lakes and Monday from 10 a.m. until the time of the service at church. In lieu of flowers, if so desired, memorial donations may be made to Nativity of The Lord Jesus Catholic Church.